Washington Square stylish, duplex w / 3BR, 3BA, 2 parking spots and wonderful vistas off private balcony! This unique unit features a modern kitchen w/stainless appliances, upgraded counters & handy pantry for storage The open living room/dining area combination is perfect for entertaining with lots of natural lights streaming through the large picture windows.Flexible floorplan has areas both for gathering and for privacy. Imagine retreating downstairs to your office or a spacious family/media/exercise room. So many options! Beautiful floors, high ceilings, lots of closets and extra storage in secure building area. Wonderful wall space to display art. Roof only 2 years old and boiler 7 years old. 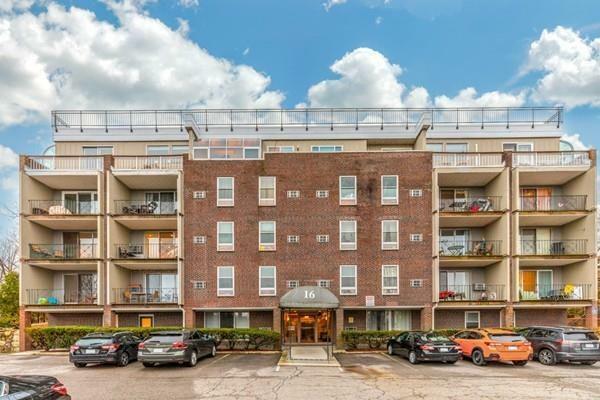 Convenient to C&D Green Lines, shops, Brooklineâs best restaurants, , several parks and places of worship. Walk to Coolidge Corner too! !